Wordless Wednesday. On Thursday. 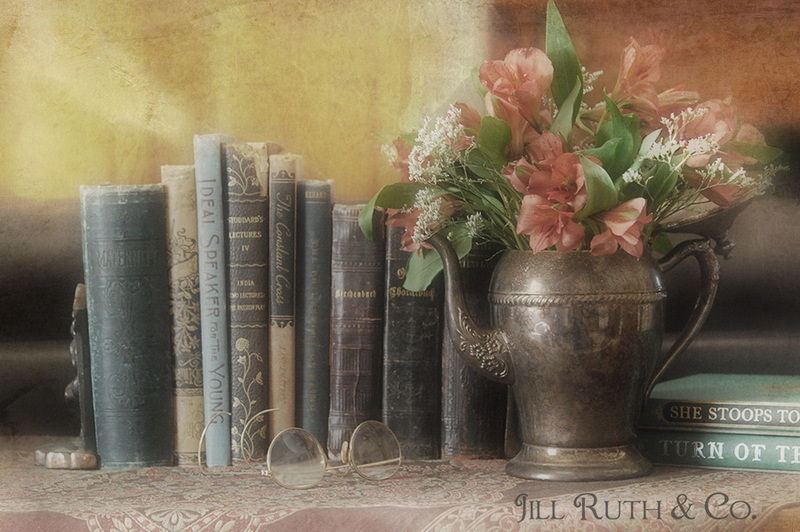 - Jill Ruth & Co.
BoOkS, tarnished silver and the pot hinting at a hot beverage to come. Fresh flowers on a snowy day (here) are a welcome sight too! Beautiful "still life" Jill. I know I've said it before, but it's worth repeating...you have a great eye for composing!